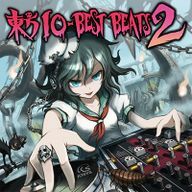 Touhou IO-BEST BEATS2 (東方IO-BEST BEATS2) is a doujin album by IOSYS released on 2011-05-08 (Reitaisai 8). It features instrumental arrangements of themes from Lotus Land Story, Embodiment of Scarlet Devil, Perfect Cherry Blossom, Imperishable Night, Phantasmagoria of Flower View, Scarlet Weather Rhapsody, Subterranean Animism, Undefined Fantastic Object and Shuusou Gyoku. This page was last edited on 8 July 2017, at 13:09.